Ancient Egypt, New Kingdom, probably Amarna Period (18th Dynasty), ca. 1352 to 1336 BCE. 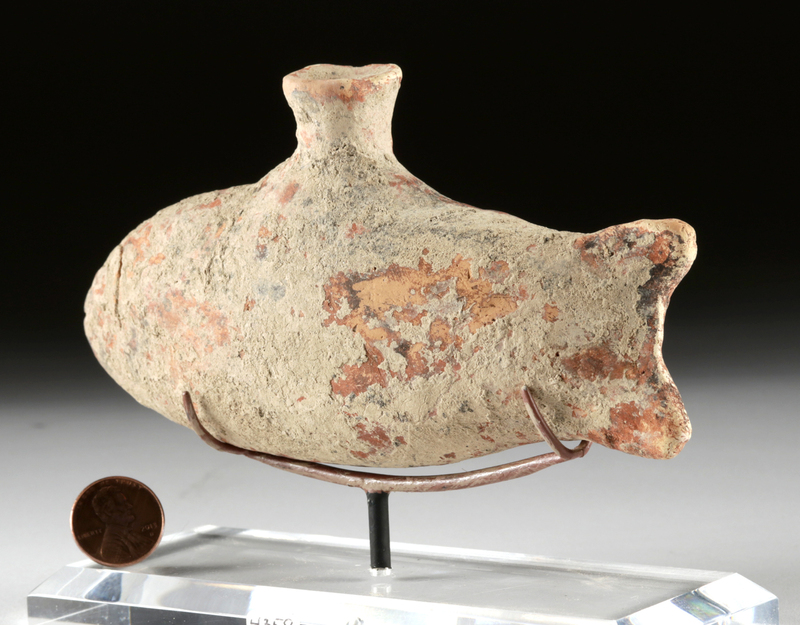 A wonderfully preserved ceramic vessel in the form of a fish, with a narrow, flared-mouthed spout projecting from the top where a fin would be. 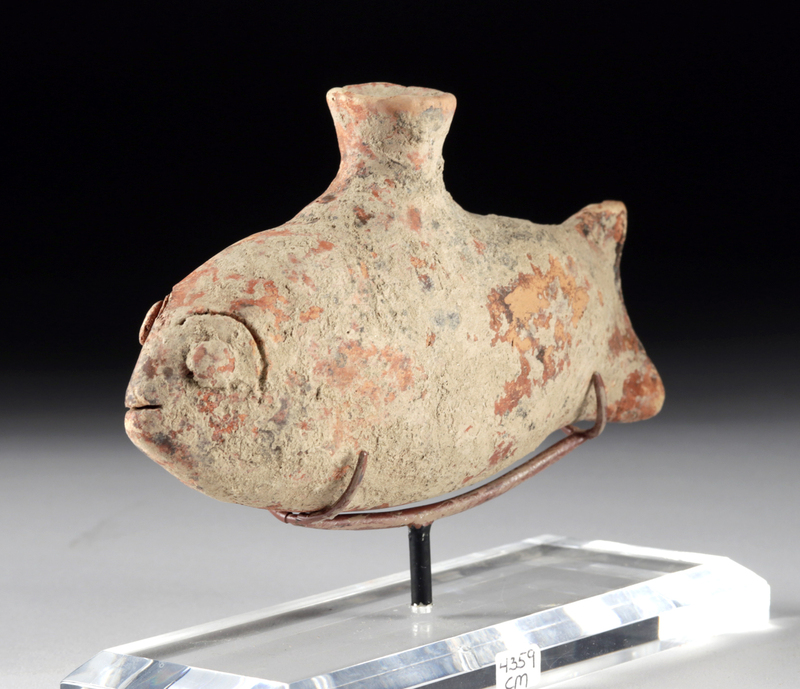 The fish depicted is a Nile carp, famous from Plutarch's telling of Egyptian mythology as the fish that swallowed Osiris's phallus after he was murdered by his brother Seth. 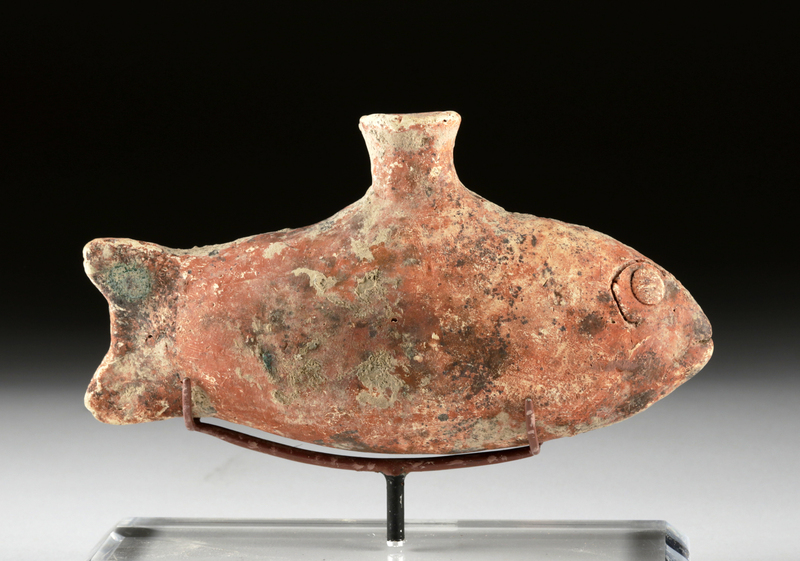 The vessel has applied disc eyes, incised lines behind them forming outlines, and red paint on the body with black paint on the tail. 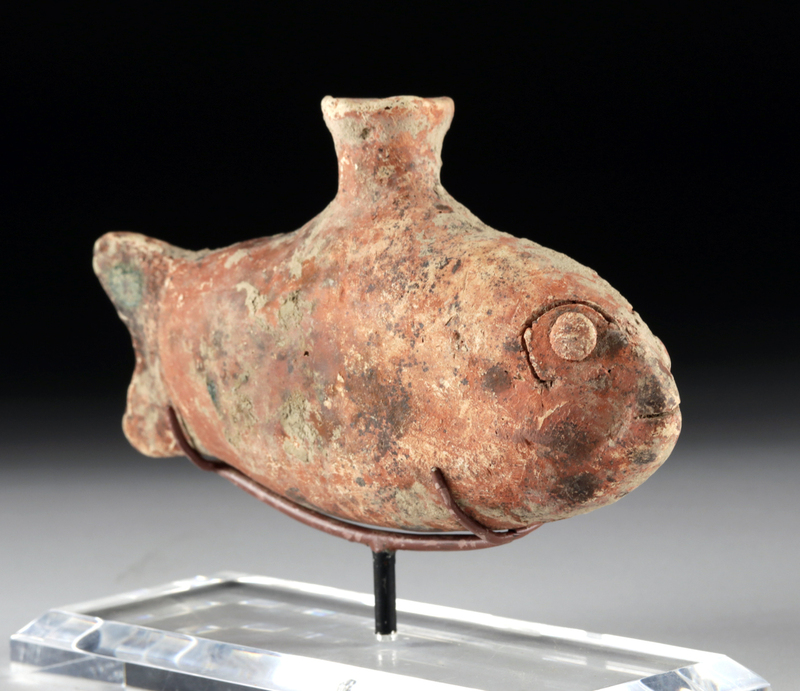 A round, bright green copper patina deposit on the tail may be the result of an inlay on the piece that is now lost or deposition next to a copper artifact. Size: 5.7" W x 3" H (14.5 cm x 7.6 cm); 4.4" H (11.2 cm) on included custom stand. Condition: Intact, with nice remaining pigment, especially on one side. Encrusted patina on surface, notably on one side. Deposits overall, with what looks like some copper patina on the tail, as if it lay beside a copper item in the past.